Many people in business have quite a ‘hit and miss’ approach to content which doesn’t really do them much good when they are attempting to gain customers through having a variety of platforms such as blogs, social media campaigns and so on. Where many fall down is by not having a content strategy in place; this is essential if you are to engage with your audience and it’s vital that you plan effectively. Just like when you begin a business, you make a business plan – usually this is something that is reviewed constantly in order to ensure the business is going in the right direction. When it comes to planning content, a similar approach should be taken, after all, it is bound to be becoming a large aspect of your business, whatever industry you’re in. Depending on the size of your business, it’s a good idea to see whether content is something that can be carried out in house, by an existing member of staff, preferably from the marketing department and with a good working knowledge of internet marketing. Whilst the planning can be carried out in-house, a budget set and a strategy decided, sometimes it may be necessary to use a specialist company to carry out your content strategy. These will be able to advise your business on the best course of action you can take and the kind of content that will help you win customers. Lots of companies use these but don’t use them effectively; they don’t use social platforms as they are best utilised. Social media is a two-way conversation and as such, it’s important that you have a dedicated member of staff or team who can cope with answering questions from clients. These channels are often fed from your blog, which should be regularly updated (at least once a week) in order to provide information for you social platforms and give the customer value. They should be industry-led and not product led, although there’s nothing to say you can’t subtly incorporate your company ethos into a blog. This also allows you to showcase an expert opinion when it comes to visitors to your site, which will have them returning. However, it’s not just blogs and information that you need to post on your social media channels – the internet is a new form of networking and you can get a lot of value out of this for ideas, content and service swaps. The most important aspect to social media is giving your customers value; competitions, anecdotes, good images, all of these can help drive traffic to your site which can, and often do, convert to sales. Of course, this may take some experimentation in the first instance, which is something that should also be worked into the overall strategy. It’s also useful to include social-sharing icons on your blog so that your message can be spread without a lot of hassle on your behalf. The most important thing here is to listen to your customers, try and strike up a dialogue, ask them what they would like to see more of. Ask for reviews of your products and what your customers think may improve them. This kind of feedback is invaluable and really is worth your while as happy customers will come back to you time and time again and, more importantly, recommend your services to a friend. It’s all about knowing your customer and what they want from you, market research should make up part of the planning process and this will help you to understand your customer’s needs. Why do they come to you? Do they buy or are they just a fan, one of these people that like everything in sight? Between Google Analytics and Facebook/LinkedIn insights, you should be able to see what is working and what’s not, so use these tools to really get an insight into what posts are working, how your customers are interacting and how you can adapt to give them what they need. 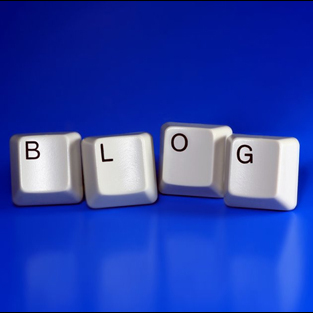 Use professional bloggers if you don’t have any writing talent in-house too – often bloggers also have a firm grasp on how content marketing works and how they can help you achieve the best results. Poorly written articles tend to annoy Google so do ensure that any content is free from errors and reads well.